took about a minute. 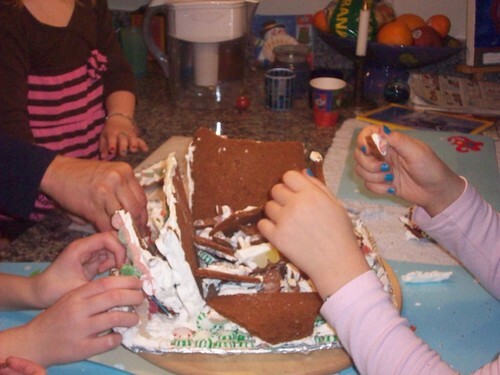 I think the girls enjoyed smashing the gingerbread house as much as they enjoyed making it! Eating it on (or near) New Year’s Day helps the gluten-free gingerbread still taste delicious. 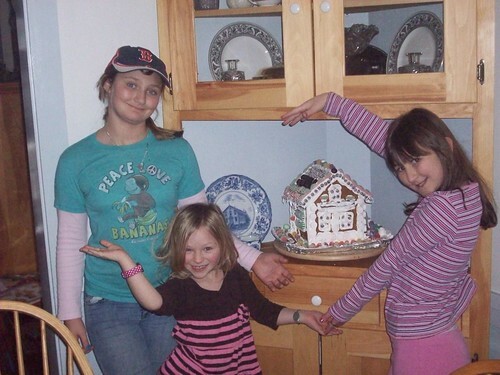 I’m so glad we finally made the gingerbread house this year! The girls had so much fun making it! It was a wonderful team effort – I made the dough, their grandmother made the template and the frosting glue, the girls decorated, and I took a bunch of pictures. I highly recommend trying this project. It took time and effort, but it looked and tasted great. I wouldn’t suggest using canned frosting and graham crackers, though – it’s worth the extra time to bake this from scratch!